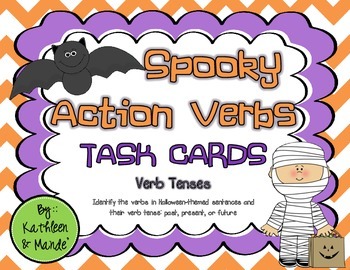 Looking for a FUN, engaging way for your students to review identifying action verbs and verb tenses? 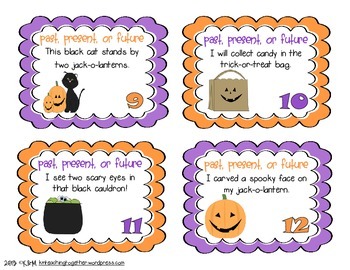 Well, these 24 Halloween-themed tasks cards provide the perfect opportunity! 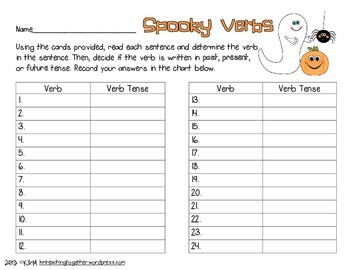 They are adorable, easy to use, and your students will LOVE them! 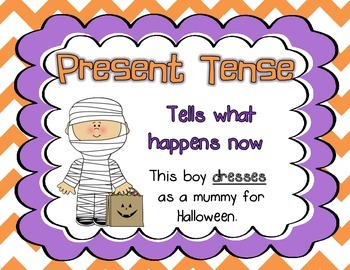 - You may want to print on cardstock and/or laminate for more durability. - Cut cards and store in a Ziploc bag or envelope for easy organization. We hope you and your students enjoy this wonderful activity!